Can Dündar and Erdem Gül, chief editor and Ankara representative for the daily Cumhuriyet are arrested on November 26 due to their coverage of Turkey allegedly sending weapons to Syria under the cover of humanitarian aid. The journalists are accused of exposing secret documents and espionage for the benefit of the alleged Fethullah Gülen Terrorist Organization/Parallel State Structure (FETÖ/PYD). Both Dündar and Gül denied the accusations brought against them alongside any ties to the alleged FETÖ/PYD organization and they said their work is journalism, not espionage. This did not stop the court from arresting Dündar and Gül with “strong suspicion that a crime was committed” for “knowingly and willingly aiding an armed terrorist organization,” “terrorist organization membership” and “obtaining and exposing secret documents of the state for means of political and military espionage.” The journalists are sent to Silivri Prison, pending trial with no court date set. Cumhuriyet‘s legal team appealed the arrest verdict on November 30. Despite the video and photographic proof, the authorities claim the visuals are forged; deny weapons were sent to Syria but insist that the contents of the trucks load is a matter of national security as it was mentioned in the prosecution questioning documents. President Recep Tayyip Erdoğan has filed a personal criminal complaint on the Cumhuriyet coverage: “I also filed a lawsuit. What only matters to them is casting a shadow on Turkey’s image. 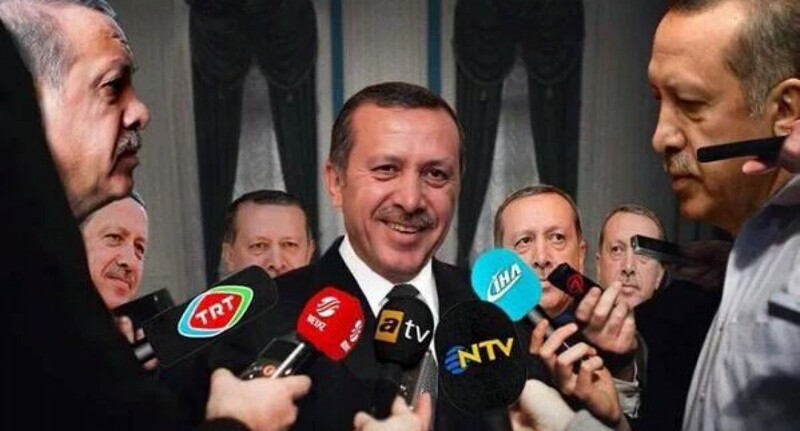 I suppose the person who wrote this as an exclusive report will pay a heavy price for this… I will not leave go of him,” Erdoğan has said on live TV on June 1, 2015; implying Dündar, who has his byline on the MİT Trucks story. Alican Uludağ, correspondent for the Cumhuriyet, shared the document of Erdoğan’s complaint on social media on the day his colleagues were arrested and an Istanbul prosecutor started an investigation against him according to reports. However, Erdoğan recently said: “what if the trucks were filled with weapons?” and Dündar has quoted him in his defense at court. The allegations regarding the MİT Trucks were first reported by the daily Aydınlık months ago but no legal action has been taken against them. Aydınlık has criticized Cumhuriyet on May 29, 2015 for calling their reporting “exclusive” and stated that they have covered the trucks story 16 months ago; on January 21, 2014. Dündar has also stated in his court defense that he was not the first journalist to report on the MİT trucks. However, according to reports, a trial was started against the leftist news portal Sol Haber about the same coverage and the portal’s former responsible editor Hafize Kazcı will be heard by court for “violating the secrecy of an investigation,” facing one to three years in prison. Also, Cumhuriyet Board Chair Akın Atalay tweeted on November 30 that financial inspectors will go over 2010 books of the daily which they have done 2.5 years ago. Financial inspection as an intimidation tool is a known method of the government; best known as the Doğan Holding tax fine incident in 2009. Journalist Fatih Yağmur, known for exposure of alleged MİT trucks in Syria, was detained in Adana and released after prosecutor questioning. The journalist were asked about the MİT trucks. Yağmur announced that he is free from his twitter account. According to Today’s Zaman, “twenty-six journalists — including editors-in-chief, editors and columnists — from two dailies and a news agency have given statements to a public prosecutor at the Istanbul Courthouse” The investigation is about claims of “propaganda” favoring the illegal Kurdistan Workers’ Party (PKK). “Hawk columnist” pro-government journalist Cem Küçük continues to threaten dissident journalists and media owners constantly. Lately, he warned the staff of the Fox News Turkey to “be smart” (a polite form of threat, Turkish style). Küçük named Fox’s news editor Ercan Gün and saying they won’t be able to work with him. Totally losing it after last sunday’s election victory, Küçük said on live TV that “they” will decide media mogul Aydın Doğan’s fate and he should fire known journalists Eyüp Can, Bülent Mumay and Nazlı Ilıcak to be on the good side of the government. “Star Media Group Chairman Murat Sancak has been attacked on Thursday by gunmen. Sancak survived unscathed from the attack. Two assailants, who were reportedly wearing masks, have opened fired on Sancak’s car and fled the scene immediately” the daily Sabah has reported on August 20. Despite Prime Minister Ahmet Davutoğlu has said the attackers were apprehended in a live TV interview weeks later; this was not confirmed. However, opposition leader Kemal Kılıçdaroğlu said the PM said the same thing to him too. Reports from October 12 say. Then, it was claimed that the attack was related to a gambling debt of Sancak. Is Erdoğan the guarantor behind media boss’s gambling debts? Since it is expected of Turkey to produce a news ban for every major disaster or slaughter, the Ankara bombing got one too but this time the ban included “criticism” also, not just news coverage. Some dailies refused to recognize the ban but there were incidents that guests on live TV political debate shows were hesitant on deciding what they can say and what not. Both investigations against columnist Hasan Cemal for insulting the president are discontinued. The prosecutors of the both investigations came to the conclusion that Cemal’s related columns are within the boundaries of freedom of expression. Another insulting the president investigation is started against the daily Evrensel for using a visual comparing Recep Tayyip Erdoğan to Lords of the Rings character Gollum. “Access to the web link of a report by the Nokta weekly, which reveals the minutes of a high-level meeting of the Justice and Development Party (AK Party), was blocked upon an order from the AK Party, which has also launched an internal investigation to find out the identity of the mole who disclosed the information to Nokta” Today’s Zaman reported.